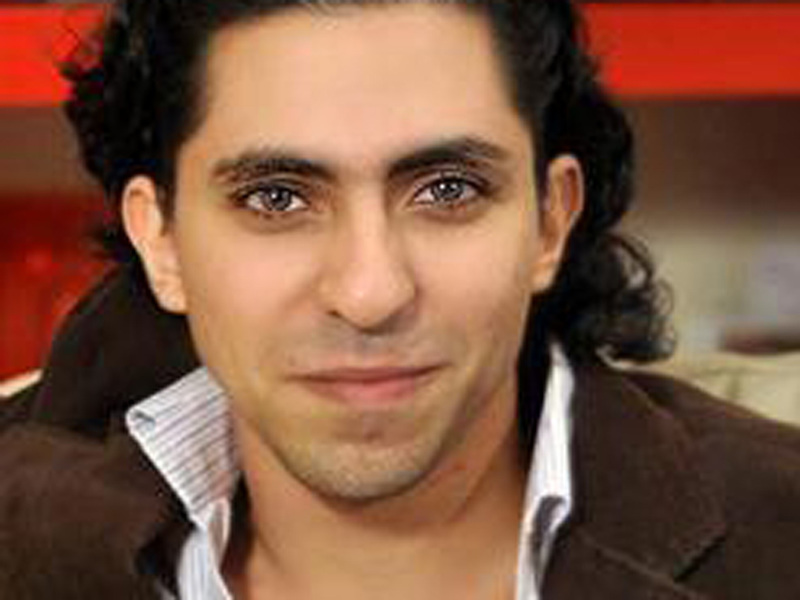 We are only a handful of days away from the next scheduled flogging of Raif Badawi. It is critical that we pull together to show Saudi Arabia our support for him. We are inviting you to join our Stand Up for Raif Online Protest starting 11:59 on Tuesday, January 20, 2015 and lasting throughout Wednesay and Thursday. If you have been to a protest at the Saudi embassy, please post a photo of Twitter showing you holding a sign and include the hashtags #freeraif #saudiarabia. If you want to protest but can’t make it to the Saudi embassy, please take a photo of yourself holding a sign and post it to Twitter with the hashtags #freeraif #saudiarabia. Please be sure to leave enough twitter character spaces so that other people can retweet yours easily. Please change your Facebook profile picture to the one of you holding your sign. If you have a Tumblr or Reddit account, post there also. Then ask all of your friends to do the same. Our goal is to get 500,000 people tweeting and posting, so please Watch your feeds and timelines so that you can retweet other people’s photos. There is great power in people coming together. In the past week alone we have seen people from all nations and faiths, colors and creeds stand together to say no to the huge injustice Raif has faced. Together we have all made a ripple turn into a wave. 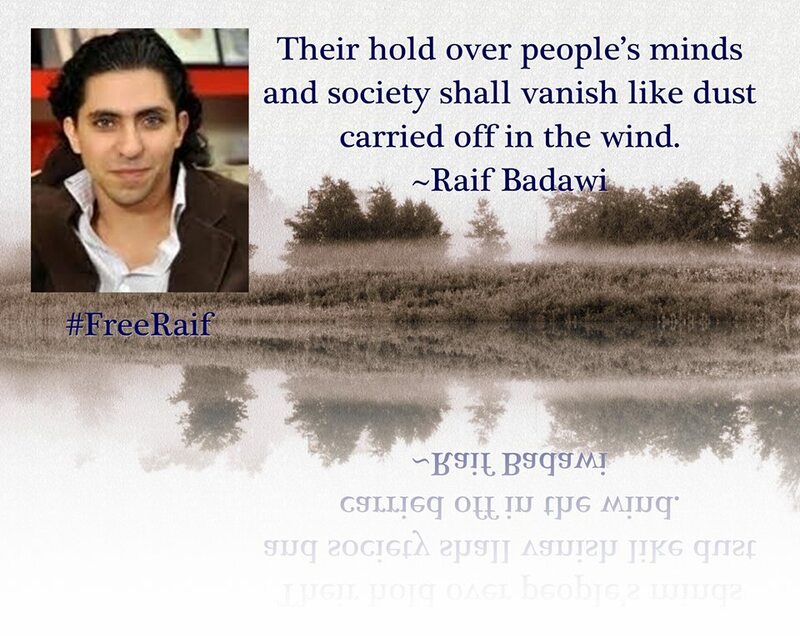 This wave is growing stronger and stronger and will soon reach that of a tsunami that will help set Raif free! my heart would not be strangling.